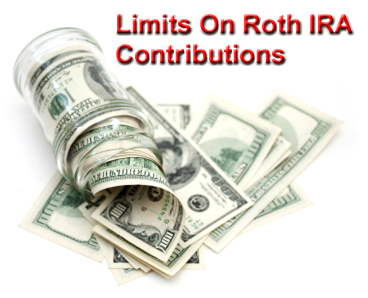 What are the limits on Roth IRA contributions? What age do you need to reach in order to make a contribution? Can both you and your spouse make the maximum contribution? And what are the income limits? If you plan to max out your Roth IRA this year, then you need to know. Otherwise, you risk making an excess contribution. Your maximum annual contribution limit is higher if you're over age 50, while regardless of age, your limit phases out as your income increases past certain predetermined IRS thresholds. That's the absolute maximum amount an individual under the age of 50 can contribute to a Roth IRA in any given year. However, keep in mind, that a married couple under the age of 50 can contribute a maximum total of $11,000 per year (each spouse contributing $5,500 each). Let's say you're single, 24 years old, and earn $45,000 a year. You know the IRS places limits on Roth IRA contributions, but what is the maximum amount you're allowed to contribute? At 24 years old, you're under the age of 50. And the maximum limit for someone under the age of 50 is $5,500. That's the absolute maximum amount any individual 50 years old or older can contribute to a Roth IRA in any given year. However, keep in mind, that a married couple 50 years old or older can contribute a maximum total of $13,000 per year (each spouse contributing $6,500 each). Let's say you're married, 57 years old, earn a combined $95,000 per year, and your spouse is two years younger than you. Like the 24 year old in our previous example, you know the IRS places limits on Roth IRA contributions, but what is the maximum amount you're allowed to contribute? The answer is $6,500 each. That means both you and your spouse can contribute $6,500 for a grand total of $13,000 per year. 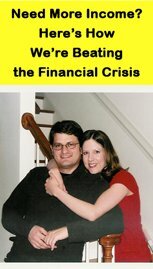 Because at ages 57 and 55, you're both older than age 50 - the threshold at which you can make a contribution of $6,500 per year instead of $5,500 per year. But what happens if you're over the age of 50 and capable of making the maximum $6,500 contribution, but you earn too much? Is that even possible? The IRS imposes limits on Roth IRA contributions for anyone generating more than a specified amount of earned income in a given year. The amount of income you can earn and still make the maximum contribution is entirely determined by your tax bracket, regardless of your age. The Roth IRA contribution income limits will show you the most up-to-date numbers. But keep in mind that your ability to make a Roth IRA contribution doesn't simply disappear as a result of reaching an arbitrarily selected dollar figure. Instead, it phases out as you move through a predetermined IRS income range for your tax bracket. For instance, let's say you're 30 years old and able to make a maximum annual contribution of $5,500 to your Roth IRA. If your phase out range is between $112,000 and $127,000 per year, then it means you can make the maximum $5,500 contribution up to the point when you earn $112,000 per year. After you earn more than $112,000 per year, your annual maximum contribution phases out until you reach the $127,000 income limit. If you earn more than $127,000 per year, then you can NOT make a Roth IRA contribution. Let's say you earn exactly $119,500 per year. In this instance, your maximum annual limit phases out (since it's between the $112,000 and $127,000 limits). At the midpoint, between the two limits, you'll be able to make a maximum contribution equal to 50% of the maximum contribution for your age - or $2,750 (50% of $5,500). However, this is just a hypothetical example. For an in-depth overview of Roth IRA phase out calculations, see Roth IRA contribution limit phase out. The IRS imposes limits on Roth IRA contributions. For the most part, your age and income are the two determining factors for calculating your maximum annual Roth IRA contribution. Of course, these Roth IRA contribution limits phase out as your income rises. So it's important to know where you stand in regard to the Roth IRA income limits.